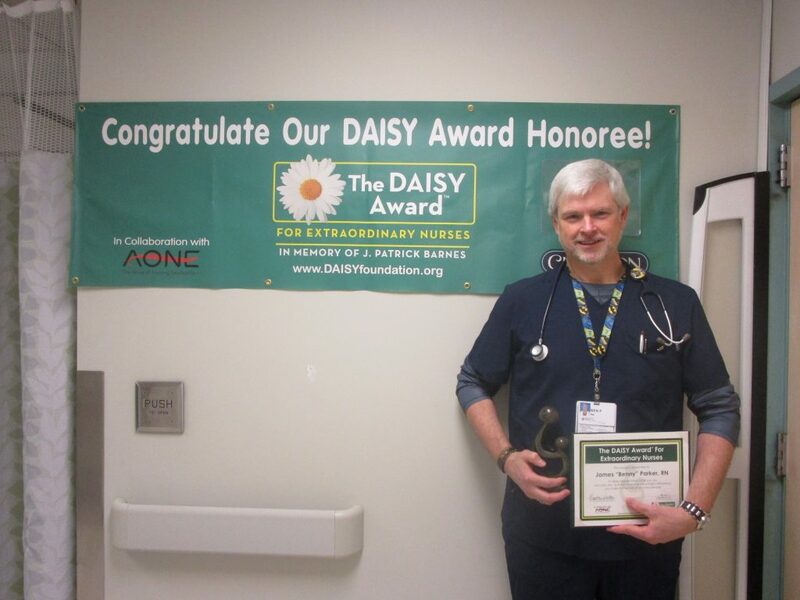 Benny Parker, a nurse in the post-anesthesia care unit, is the recipient of the December DAISY Award. Benny was nominated by a patient’s spouse for his diligent care while her husband recovered from surgery. Among other things, the nominator recalled Benny’s efforts to patiently remove surgical tape from the patient’s arm, help the patient stay hydrated following surgery and carefully support the patient to allow him to stand. The patient’s spouse remarked that while it was just a brief encounter, Benny’s amazing care to her husband truly touched her.